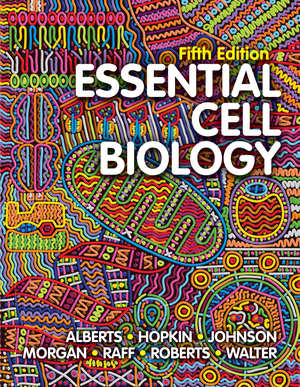 This text features lively, clear writing and exceptional illustrations, making it the ideal textbook for a first course in both cell and molecular biology. Thoroughly revised and updated, the Fifth Edition maintains its focus on the latest cell biology research. For the first time ever, Essential Cell Biology will come with access to Smartwork5, Norton’s innovative online homework platform, creating a more complete learning experience. The author team is world renowned for their research, teaching, writing, and leadership in science and science education. 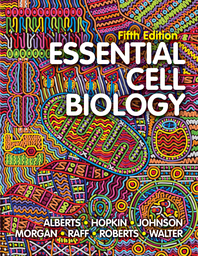 Essential Cell Biology contains the perfect balance of the scientific authority that these authors command with accessible prose and a precise, dynamic visual program. The result is a text that is perfectly suited for introductory cell biology courses. The resources have been completely updated, and now include all-new Smartwork5 online homework. Smartwork5’s coaching pedagogy allows you to ask a variety of challenging questions that will help students develop critical-thinking skills. The unique Interactive Instructor’s Guide provides more than 100 videos from a variety of expert sources. These videos highlight important concepts by presenting dynamic visuals of cell biology in action. A test bank, art files, and more complete the resources package. The text has been thoroughly revised to cover the latest developments in this fast-moving field such as CRISPR, cryo-electron microscopy, and culturing human organoids. Yet it retains the academic level and length of previous editions.